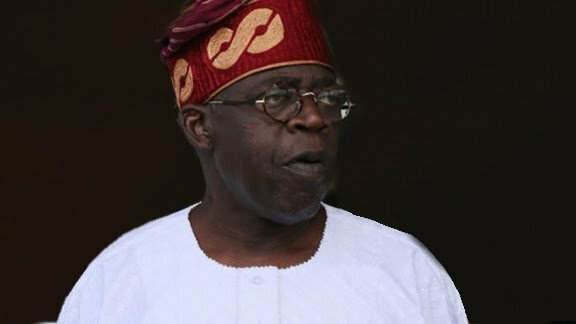 The National Leader of the All Progressives Congress, Chief Bola Ahmed Tinubu, has reiterated his stance on internal democracy as opposed to the idea of giving automatic tickets to aspirants. He said his party must not behave like the Peoples Democratic Party, which, according to him, has a penchant for giving automatic tickets to its members. Tinubu, however, said his position should not be misconstrued by the Governor Rochas Okorocha-APC governors’ forum, saying he believed that governors had an important role to play in the emergence of the party’s candidates. Tinubu was quoted as expressing these views in a statement on Monday by his media aide, Tunde Rahman. According to Rahman, the statement was intended to clarify the misrepresentation in an interview that Tinubu granted journalists during his last visit to Akure. Tinubu had been quoted as saying that the APC would not give President Muhammadu Buhari an automatic ticket for the 2019 presidential election. But Rahman said Tinubu did not attack the APC governors in the interview he granted journalists in Akure. “We note the Imo State Governor, Rochas Okorocha’s statement. It is important that the record of what Asiwaju Tinubu said when approached by journalists during his last visit to Akure is accurate. Thus, I make this statement in the hope of clarifying a misinterpretation that seems to have taken hold in some quarters. “I was at the interview session. Asiwaju never said anything that could be interpreted as meaning or even implying that the governors are irrelevant or insignificant to the party’s nomination process. “As a former governor and a leading statesman within the party, such words would never come from him. “Moreover, Asiwaju is a democrat who believes that the open and democratic processes of the APC, which led to the nomination of President Buhari in the first instance, have served the party well and have helped to distinguish the APC from the PDP and other parties where fairness and internal democracy are rare commodities. “Every individual has a right to endorse or support a candidate of his choosing. What Asiwaju said at that encounter and still canvasses is that the APC should not mimic the PDP’s penchant for short-circuiting internal democracy by promoting the idea of an automatic ticket.